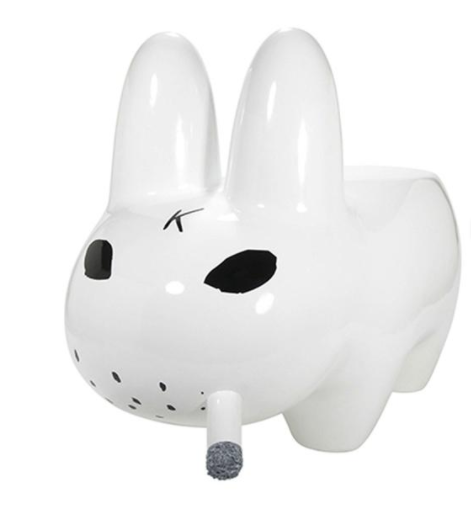 Kidrobot’s Labbit Appreciation week continues with day five! Let’s celebrate the last day of the week (and the beginning of the weekend) with another blog brought to you by the one, the only, Chris Holt aka The Toy Viking! Take it away Chris…..
Oh my goodness it is already day five of Labbit Appreciation Week and I am exhausted. My body feels like what I’m guessing it would the day after going to the gym for the first time. Not that I would.have first hand knowledge of that, but I’ve heard things. This year we may be bruised and battered from the shear amount of appreciating we’ve shown, but I still have all of my teeth so why don’t we send this year off with a bang with the creme de la creme of Labbits: the Labbit stools. I’m not talking about the brown specimens they’re known for peppering the carpet with, I’m talking about the kind you can sit on. Ya know, like furniture. Now if you’ve constructed most of your seating elements from those plastic milk crates you find behind the convenience store I’m gonna say you’re overdue for an upgrade. You gotta treat your seat, man, and what better thing for your bum to rest on than the back of one of these mighty beasts. Or if you already snagged a bangin sofa from an estate sale then you could use it as a killer foot rest. Or you could just place tiny animals on top of it and win the internet with your photos (tiny animals not included). The possibilities are as endless as your imagination. That sounded like a motivational poster in a cubicle. Available now on www.kidrobot.com with zero assembly required. PSSSST! 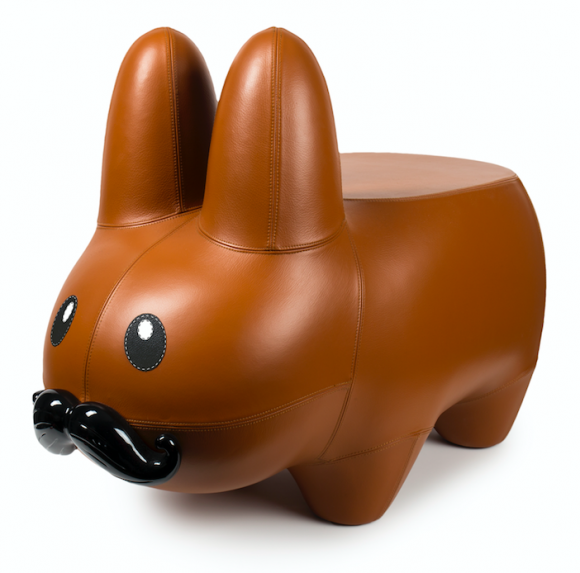 Want 20% off a Labbit Stool?? 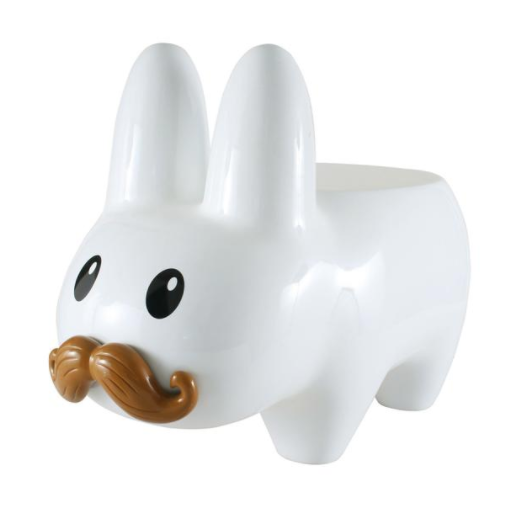 Use the code LABBITSTOOL at checkout for 20% off for Labbit Appreciation week! :) You’re welcome!